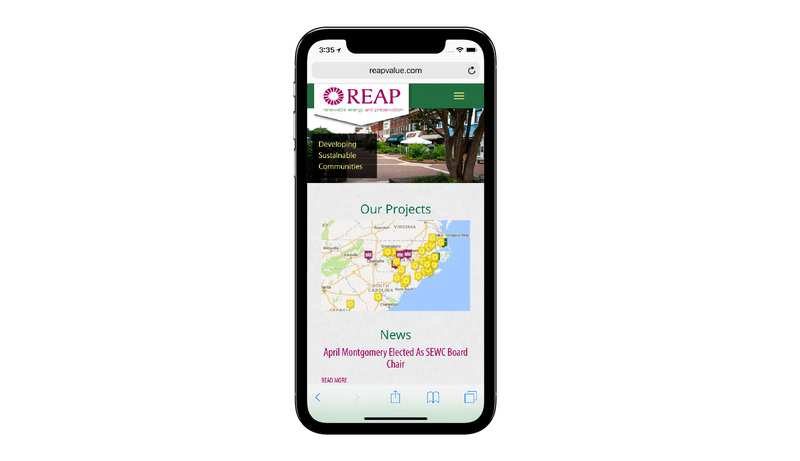 Rouviere Media did the design, logo and branding, as well as the web and the Expression Engine development for this website for REAP, a Sanford, North Carolina company. 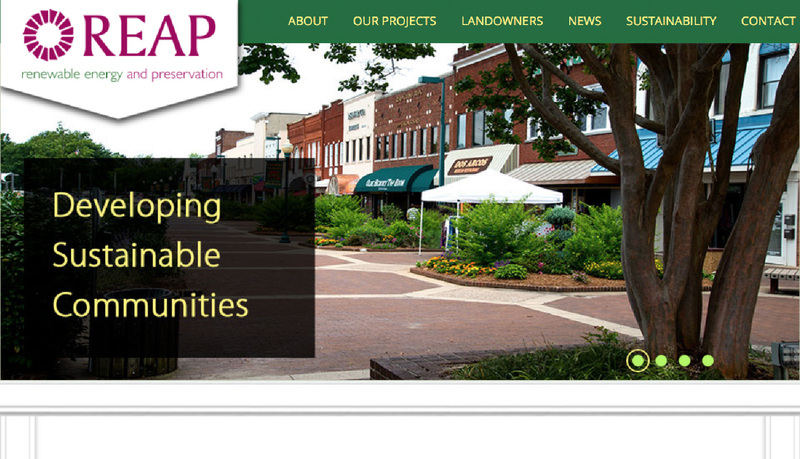 REAP develops renewable energy and historic preservation projects across the southeastern United States. 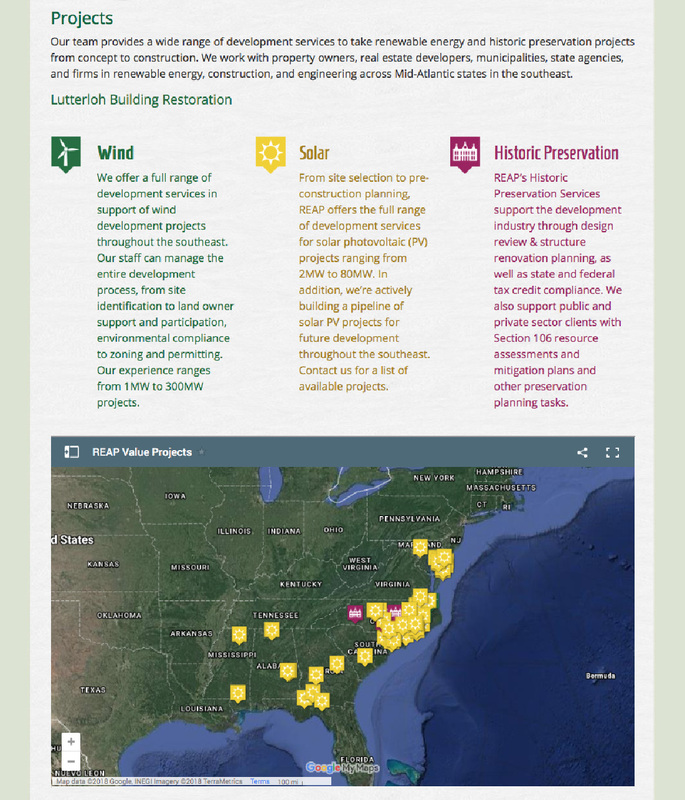 This infographic on the website is a map that shows the location of REAP's many projects. The website also includes the infographic and landowners' form below, which offers rural landowners an opportunity to retain ownership of their land and reap value from it by developing solar projects on it. 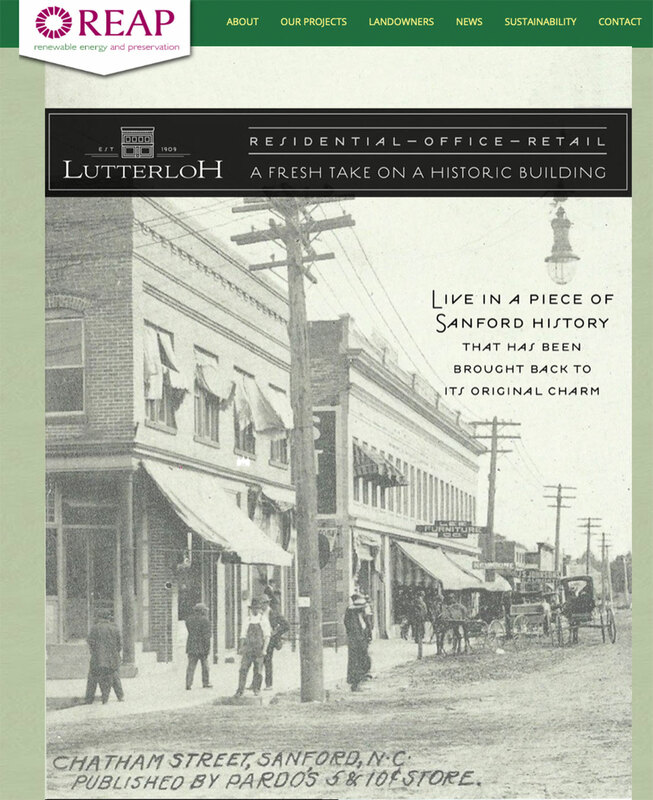 REAP's historic preservation projects include the restoration of the historic Lutterloh building in downtown Sanford, California for residential and commercial purposes. 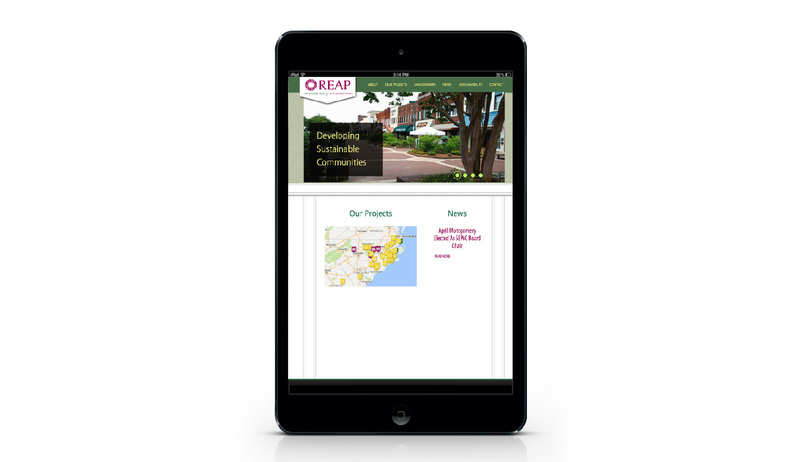 This landing page by Rouviere Media describes the project, offers leasing opportunities and shows the building in video and photographs. 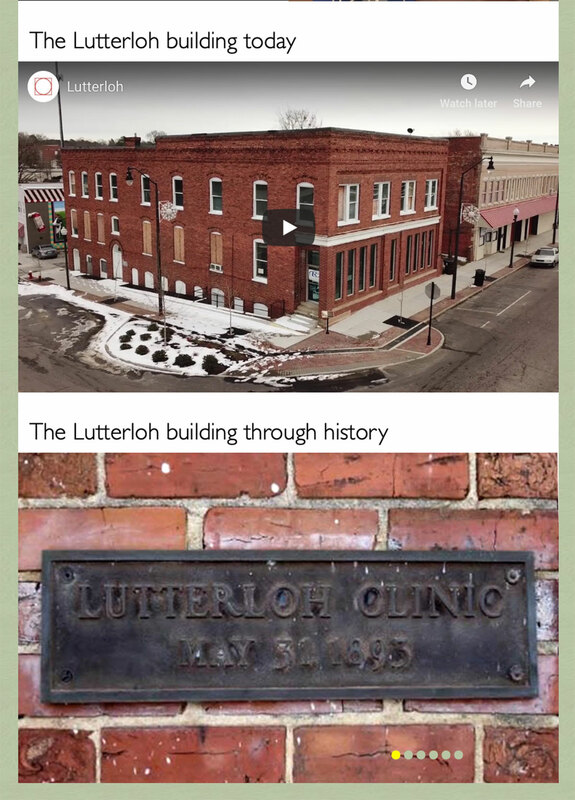 This special project page has a 360-degree video and a slide show of photos depicting the building's history.